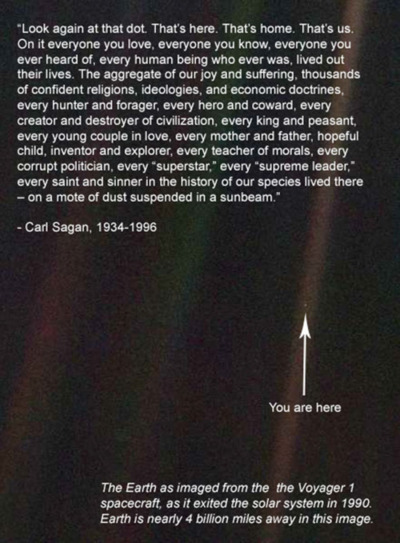 I have a long running concept I like to think about: that all along Carl Sagan decided to become an astrophysicist as a strategy by which he might share poetry. Whatever my delusions about his actual intentions, his usage of words has an intrinsic poetic quality, and at some level I believe its impossible when studying something as large and fundamentally unfathomable as the cosmology of the universe, to not become keenly aware of ones own limited location. Looking out into space becomes at some level a self-reflective action. The activity itself is inherently conceptual, the considerations within the field requires extrapolation of forms and events without any scale or imagery that can be directly referenced at any human level. Like trying to imagine what a dog looks like from only the echo of it’s barking.